It’s interesting to remember that all temporary walls are room dividers, but not all room dividers are temporary walls. There’s a wide variety of options that can be used to divide a space, and many of them don’t involve traditional walls. Room divider ideas can be found around the internet, so we won’t go into too much detail about specifics here. 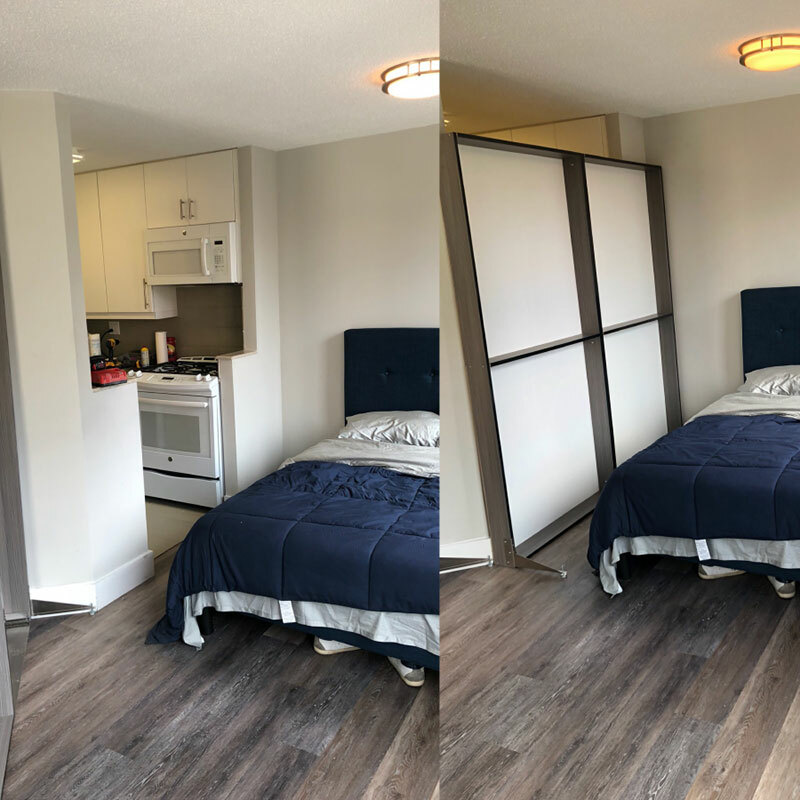 Instead we want to focus on some of the more common room divider options and how you might use them to divide your space. The other thing to remember is that when considering temporary walls, take into consideration that you may need to seek approval. But with wall dividers that’s generally not necessary since the dividers are classed as furniture or decorations, and not true alterations to the space. Bookshelf walls are a partial, temporary wall that imitate a bookcase in design and function while including doors to replicate wall functions. However, normal bookcases can also be used to subdivide a space. Particularly when a door isn’t needed, such as when you’re trying to create a visual divide between a living room and a dining room for example, bookcases are a stylish and useful way to accomplish this. Curtains are very easy to hang and are effective for creating private spaces. They have the added benefit that, when they aren’t needed, they can be whisked out of the way. Room divider curtains are generally hung from tracks that are screwed into the ceiling or from rods attached to opposing walls. If your landlord has rules against nails or screws make certain to try and stay in compliance with them. There are rod options that don’t involve wall penetration. 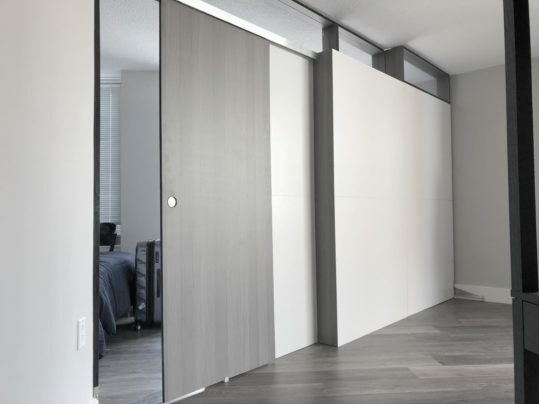 Room divider screens are another option that are extremely easy to install. You simply open them up when they’re needed and then fold them up and stow them away when they aren’t. They aren’t quite as good as curtains from a privacy perspective, since they aren’t generally very tall, but they can still nicely divide a space when required. Fabric panels are similar to freestanding screens, in that they’re fabric stretched over a wooden frame, but they run to the ceiling, and often slide in tracks, similar to curtains. This makes them a better choice when privacy is important. However they do very little to block or diffuse noise. You can also find panels made with plastic or glass windows. These are similar to freestanding screens but are constructed of a thicker, denser material, held in place by heavy, generally metal, legged frames. You’ll find these in commercial applications far more often than residential ones, mainly because they aren’t particularly stylish. Think freestanding cubicle walls. Shelves full of plants can adequately divide a space as well. Large, leafy plants with dense growth can afford a space a modicum of privacy or at least give the sense of distinct areas within a larger room. This is probably the whimsical entry in the room divider category. EverBlocks are basically large Lego bricks that can be interlocked to build temporary walls and room dividers. Since they function like Lego bricks there’s really no divider shape that can’t be built. The company offers bricks in a variety of colors, which can be mixed and matched to create visual interest. Any one of the room dividers mentioned above can be mixed with any other to create a wide array of options. The possibilities are truly endless. 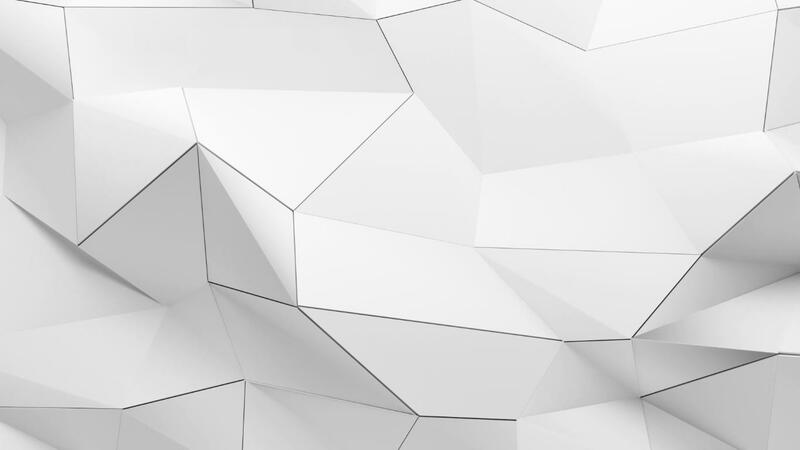 If, however, you’re interested in something a bit more wall-like, give us a call or drop us an email at 1W2R. We provide a host of design options for temporary walls in a variety of styles. We can customize your walls to fit your space and your design aesthetic. We offer innovative features not sold by other vendors. If a simple room divider won’t cut it for you, give us a call. How to be an effective event planner and event coordinator. Events are organized for conferences, for meetings, for graduation and all this fall under the education sector. Events are organized for various promotions. It can be for the launching of products, for political rallies, for interesting fashion shows and so on. Organizing events for such shows will adequately help promote your business. • Events are organized for the commemoration of either a memorial( to remember someone or something ) or some civic events. When you talk about celebrations, there are various celebrations that special events occur for. They may include, fairs, fashion parade, weddings, long time reunion, birthday parties, anniversary and others. Such celebration happens either once in a year or once in a lifetime and that is why they should be well arranged. Our company 1W2R provides customizable products our temporary walls and modular walls help event planners organize events. Our products are cost effective. Not only are out temporary walls affordable, but they are also completely reusable. Our modern partitioning can be brought and installed within a specified time duration with a long time of usage. Using our removable walls can transform your event hall in a multitude of ways. Temporary walls can be likened to dividers which help provide temporary structures to a building. When going for an Art event, different portraits will definitely be displayed to be seen by art lovers. When organizing such an event, our temporary walls can help divide the hall So that it can be easy to showcase different products at the same time. 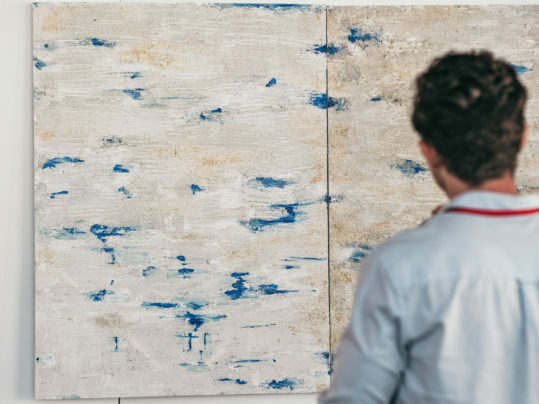 Art events can really bring people together, and most times the organizers of such events use available mediums to portray their different artwork. Using temporary walls will help differentiate every person’s artwork from the other and makes them market their product more. Event planners should endeavor to visit our company at 1W2R.com and place orders as we are ready to supply temporary walls and modular walls to organizations that need it and we help install this walls when needed. If you have an event that requires temporal walls, do well to order, and we will manufacture in advance and assemble it at the located place. For a show that displays all kinds of new exhibition materials, it is necessary to customize your hall to make it more capturing for guest. The event planner makes sure that all the exhibition materials are available so that when the show starts people that come around for the exhibition will not be disappointed. A good location is needed especially with demarcations. And makes sure the location is well organized. And during an exhibition, a partition is needed to display your product. Contacting us on 1W2R, we will provide modular walls and temporary walls so that every product will be a partition and viewed separately. When organizing Trade shows, event planning committee must make sure that an ideal environment is created. Trade shows involve bringing various products and materials for trade. People around the world will be expected to come and visit the trade center. Products such as perfume accessories, gadgets, and other things will all the displayed at the trade show center. It is necessary for event planners to look for a big hall and organize the event to the best of their client’s interest. The hall should be big enough to accommodate many people as people from around the world will do well to be present for the show. When displaying various types of product, it is necessary to differentiate all the products as it will help customers to view every available product in different sections of the hall. If you are looking for a way to partition the products, our company 1W2R offer rental services such as modular walls which helps for noise reduction, temporary walls which enables the different product to be kept in different places. We also offer customizable products to make the event hall very beautiful so that onlookers will continue to patronize your trade show. Marketers often display different products during a trade show, and when trying to showcase their products, it is necessary for a demarcation to always be available so that buyers can patronize marketers differently. Disputes may arise when traders that sell different products showcase all at once, but when the products are all kept in separate places, you can be rest assured that they will be fewer problems. To organize a fashion show, extra effort is required from the event planners and event coordinators. Artist from around the world will be available to watch how parades are done, and awards will be given to the best and most fashionable person. Organizers of fashion shows have to do extra works to ensure that costumes are made available for the people that will want to take part in the fashion exercise. Events planners as the name imply ensure that the event is well planned. They ensure that the hall is big enough to accommodate many people so that they can all be comfortable. Adequate ventilation will also be needed in the hall, and the event planners ensure that the air condition works so that they will not be any complaints as this will affect the reputation of the fashion company. During a fashion exercise contestant will need a changing room as both males and females especially will not be able to change in one Particular place. If there is no room available in the halls, do not be tensed as our company 1w2r.com offer temporary walls which will help in demarcation. Fashion shows always have financial rewards attached to the person that wins and at such when contestants are changing they won’t want to be seen by rivals. Our companies temporal walls are available in all sizes and enough to go round a big hall. We also provide modular walls and customizable products to adequately customize the hall. Organizations that help promote fundraising, charity donation and artworks gallery, organize events once a year to help draw more clients to the industry. Donating to one of this organizations can go a long way in helping the lives of children and those in need. To be a good event planner some skills are needed to be successful and popular, and some products are necessary, and these products can be supplied by our company. Contemplating a career as an event planner whether with an event planning company or an event planning corporate organization, make sure you have the necessary event planning skills needed. The popular, successful event planners have a toolbox filled with an impressive skill set. I will like to highlight some skills needed. You must keep track of different tasks, multiple vendors and always changing to do list to make your customer happy. For those that are ready to be successful, it can really be challenging. Event planners may manage one event at a time or be planning different events. When planning an annual conference, it may take time to fully organize the arena that is to be used especially when it involves fixing modular walls and temporary walls for demarcation. You can be assured that our company always provide the needed materials at the right time. Our company rental service providers are personable especially when working with event planners. Successful event planners are sociable, and good conversationalist and excellent listeners to their clients. Event planning is a social profession. You have to understand people and enjoy having a conversation with them. When doing a job for a client, you have to be really understanding. This doesn’t mean that you will always be with your client and not having time for your work. As an event planner, you might not necessarily spend time at the event center. Much of your work is spent on a desk with your mobile device or computer. Being personable is a necessity when arranging the following event planning task. 5. Interacting with guest and workers. Knowing how to interact with clients is very necessary as this will bring a good reputation to your business. Like our company 1W2R, we ensure good communication with event planners, and we are always ready to supply effective service. Communication is essential in a lot of professions. Poor communication can cause a problem for both the event planner and the client. When there is poor communication, there will also be a misunderstanding. For you to be a good event planner, you must be able to communicate thoughts and nice ideas to your clients. When planning an event here are some helpful ideas that will be needed. • Writing a good quality event proposal for a client. • Drafting appreciative note to speakers. Following the above steps closely will help show your client that you are qualified to do his job. For you to be a successful event planner, you must have enough ideas, and you must be very creative. A nice decorating solution should be found, and you must have a nice marketing skill. Creativity is needed when planning an event. Being creative helps to solve a problem that might occur when organizing an event and it involves providing quality service even within a short period. Our provision d temporary walls and modular walls are assembled and fixed at any event location even on emergency cases. If you have an event and probably need dying minute preparation like erecting temporary walls for demarcation of the premises, we all always ready to help supply the necessary materials and make sure everything is in place before the event starts. You may be bidding for hotel accommodation, negotiating a contract in a hotel, setting up an appointment with a client, booking a caterer and even interviewing vendors. All this might probably be for one event. When multiple events come up, successful event planners need to know how to multitask effectively and keep different aspects of the event moving at the same time making sure that none of them slides away. Hotel events come with a serious task especially when it has to do with advertising a newly built hotel, some premises outside will need customizable products to help attracts customers. At a very affordable amount, the required products can be rented from our company. Our services have been tested and trusted for many years. Satisfying our clients is our main concern. When it comes to looks, our walls have one of the highest professional looks, and you can choose to select from different wide-ranging color panel to create the kind of look you want. You can choose the height and length, and it will be carried out as expected. Our lightweight aluminum framing makes it easy to set up and to quickly adjust. Your walls can be moved at any desired time to fit any area and can be adjustable to any new configuration. There are hundreds of Interesting benefits when you use our rental service. Always remember that our modular system is sturdy, long-lasting and easy to deploy and break down just in case you want to change location or when you are done for the day. 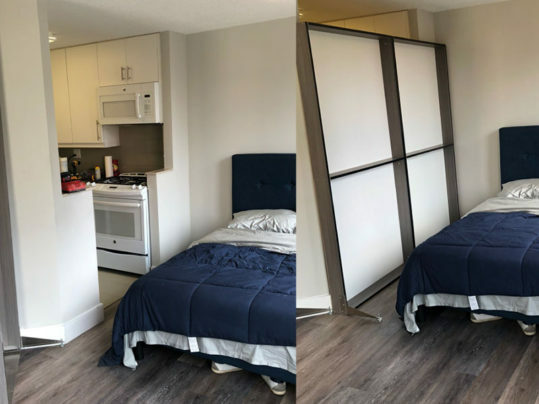 If your living in the big city you can understand the struggle of finding a space with enough rooms that fits your budget. there are many options that can solve the problem that plagues many of us . Paying more for a space just because of an extra room is out temporary walls and temporary dividers. If you run a growing business that needs more rooms to either store things or make more office space for your employees there are many options. There are cubicles, temporary walls and storage closets that could be installed . There are also options and ideas for small houses and apartments . Like cheap temporary walls and contemporary walls . You need something that matches the atheistic of your space and fits your needs .There are options that can turn the wall or divider into something of your very own . Panel room dividers make for a beautiful attachment for your space. You can get the panels in different finishes and color . These custom room dividers will not ruin the spaces aesthetic . They will elevate it You don’t need the the extra square footage . Don’t spend thousands of more dollars in rent for a problem that can be solved with something affordable that will last you until you need it to. Whether you are at home, your workplace or even planning an event, you would definitely need to use up a lot of space. Sometimes, these spaces may seem to be disorganized or simply just not well spaced. This is natural as most individuals would want their events and houses to look top-notch at all times. It is then only expected that most persons would go in search of an innovative product which would solve most of their problems. This is where dividers come into the picture. It allows the room or office space to have more style and a touch of design to it. In the case of events, it can afford it much needed decorations to allow your events simply glow. Dividers can be used in a variety of positions and spaces in the home. They are usually very beautiful and can serve to lighten up your home, office or any event which you are planning. What are some of the categories of dividers which you would find very appealing? 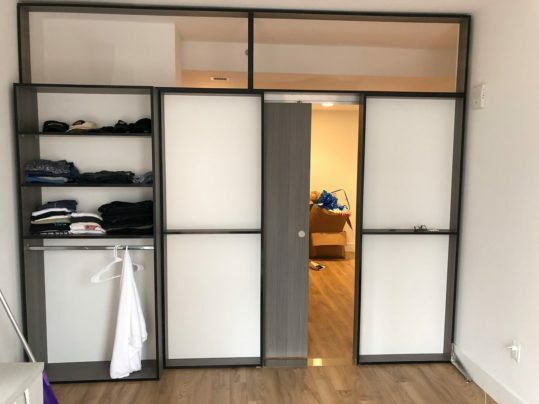 ROOM DIVIDERS: have you ever felt the urge to divide your room into spaces which would allow you to achieve more things in a faster period of time. Or perhaps, some individuals in your home would just want some form of privacy, and you are looking for ways to ensure that this is fulfilled? If you are in any of these situations, then you would quickly realize just how effective room dividers can be. Room dividers would help you to be able to divide your rooms in the most impressive way possible. You would quickly realize that you would have a clear distinction and idea of the amount of space which you have on either side of the rooms. This is a wonderful reason why room dividers are simply the best. WALL DIVIDERS: if you are currently on the look for dividers which can add life and a bit of organization into your office and home space, you would most likely find wall dividers to be especially pleasing to the eye. You would quickly realize the importance of having wall dividers in your home. You would be able to map quick boundaries while also ensuring that your room or office space remains excellent in terms of beauty and quality. Wall dividers are one type of innovators which you are most likely to fall in love with once you decide to get one. Therefore, if you can get a wall divider today, do not let anything hold you back. DECORATIVE DIVIDERS: while most dividers like the wall and room dividers do the work effectively and offer some form of style to your space, that style is nothing compared to what you get when you make use of decorative dividers. With their sole aim to ensure that your space or event is decorated and beautiful without any exception, it is of no wonder then that the decorative dividers would be simply breathtaking to look upon. This type of dividers is usually used in events and can be the difference between having a wonderful moving event and having a dry, boring, mundane event. This no doubt calls for serious planning and a piece of decorative dividers to make the world go round. MOVABLE DIVIDERS: while dividers all serve a purpose, one type of dividers are usually very versatile and can be used in a variety of positions. These dividers are usually called movable dividers. The unique thing about movable dividers as the name implies is that these forms of dividers have the potential to be moved about quite easily. This means that you can use the dividers for an event one day and then you can take it home and use it at home the very next week! How cool is that? Movable dividers are simply the go-to thing or innovative products if you are looking for a bit of versatility in dividers. It is sure to be a delight to you. OFFICE DIVIDERS: there is no doubt a need for dividers in an office environment. In a large corporation which is focused on being productive, dividers would allow them to achieve this very purpose easily. Dividers would allow most employees to be much more focused on what they do and how they can achieve it. They would also afford them a bit of privacy going forward in their various offices. When you use the right office dividers, it would also provide your office with style and finesse which was missing from it before. You would no longer view your office as a scattered, disjointed place but a well-organized place where everyone would need to remain as professional as possible to ensure that everything keeps on working smoothly. DIVIDERS WITH A DOOR: when dealing with offices, sometimes, the ordinary office dividers might not just be enough. Dividers with doors are also essential. Imagine if everyone in a firm or office had to come using just one door. What you would get are messy, crowded offices which would be prone to accidents. Having dividers with doors would allow most of the employees to leave with their various doors without actually having to bump into one another. This would lead to lesser accidents, and it also increases the level of professionalism that would be present in a particular office. There is no doubt that our homes, offices and the different events which we plan are very important to us. Therefore, if we can, we really should consider using dividers to meet our needs in our daily lives. If you are confused about where to get the best dividers for your home, you will find 1W2R.com very helpful in providing you with the much-needed dividers which would durable and very innovative. You can kiss all your space issues goodbye from the very moment you start using dividers.